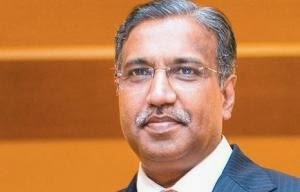 Single insurance product covering all basic insurance needs, together with options for customisation, would help improving insurance penetration in India than having multiple products for a basic cover, said Insurance Regulatory and Development Authority (IRDA) Chairman TS Vijayan. Inaugurating the 7th Global Insurance Summit organised by ASSOCHAM in Hyderabad, Mr. Vijayan said, “Currently, a typical general insurance product covers specific risks such as fire, health, accident and loss of belongings under separate policies. This approach is very cumbersome and a major roadblock in increasing insurance penetration." “Specific circumstances of low-income groups like unstable income, migration for work and others should be considered while designing insurance products to best suit their needs," he added. Furthermore, he said that cost effective ways of distributing insurance covers would be key to success in increasing insurance coverage among low income groups. Absence of proper mechanisms to create awareness and effectively communicate about protection offered by an insurance product to a policyholder has led to low persistency and low claim ratios in the micro-insurance business. “The policy servicing mechanisms, particularly for claims, adopted by insurers would be critical in delivering necessary protection," he said, adding, “The claim payment procedure should be simple and transparent to ensure timely payment of all eligible claims." On IRDA's latest initiatives in enhancing the use of technology, he said that issuance of e-policies through insurance repositories would reduce policy issuance costs significantly.